Massive thanks to everyone for their enthusiasm and effort in the Tech Challenge. As you can see by the results above, it was an almost perfect afternoon for Xuanwu. Points were awarded: 3 points for 1st, 2 points for 2nd, 1 point for 3rd. In the case of a tie, both teams were awarded the first place points. 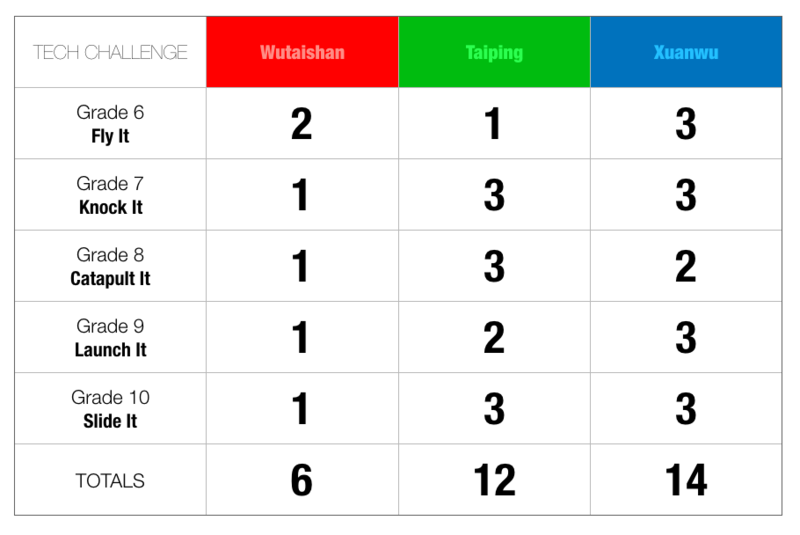 Congratulations, Xuanwu, Taiping, and Wutaishan.